We are honest artisans who house craft with best available ingredients. Our food and drinks are created not made, and the end experience is an explosion of art and scent that results in edible, drinkable and lovable masterpieces. Pie Tap has some of the friendliest servers in town and the food is delicious. Great food, great service, and great atmosphere! We started with "The Board" as an appetizer and it was amazing! I had the roasted chicken and my wife had the pizza both were incredible. We will definitely be back. Great appetizers, pasta and pizza. Very filling. The lighting is very dim/orangish, and the menus have a black background so even for someone with good eyes, it’s hard to see and the atmosphere feels heavy. Great service though, friendly staff who go out of their way. Not only was the food fantastic but the service was impeccable! The items were delivered quickly but not in a manner that made you feel rushed. Even the appetizers which were just basically break rolls, were amazing. I honestly don't know what they did to them but they were delicious! The pizzas were wonderful and being from Chicago, my standards for pizza are high. Even the iced tea was fresh brewed. They boxed everything up for us and gave us additional sauces to take home with us. My husband and I both plan and returning here again! We love the board as a starter and then shared pizza and a salad. Sat at the bar for a relaxed date night. Bar tenders there are awesome with keeping up friendly conversation, cranking out great drinks, and keeping their cool when it gets busier. 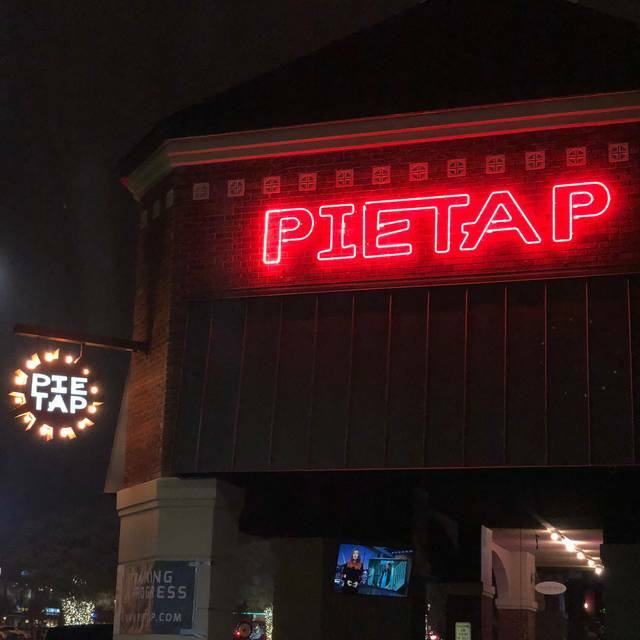 We love Pie Tap. The food is amazing and the atmosphere is fun, esp the patio. We love to go there for Sunday brunch with the kids. Maybe, maybe not. It was on a very busy time of the night, so maybe. Staff was friendly and our waitress was great. 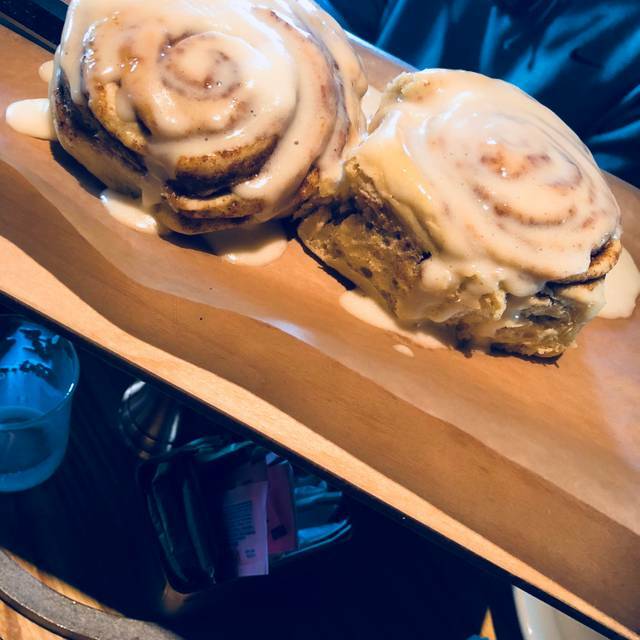 We had the cinnamon rolls and a pizza, both really good. Will be going back to try other dishes. the pepperoni pizza was really greasy and to much dressing on the Cesar salad. we really like the atmosphere. The wine is a bit over priced. Service was great and my belief is that service can make or break a meal. I had the ricotta gnocchi and highly recommend. Come hungry though, they are heavy, yet delicious. First table was too hot... 2nd table was too cold.. 3rd table was just right!! Pizza and salads were very good. Absolutely- such a difference from other restaurants in the area. Friendly, warm, cozy place and excellent food! 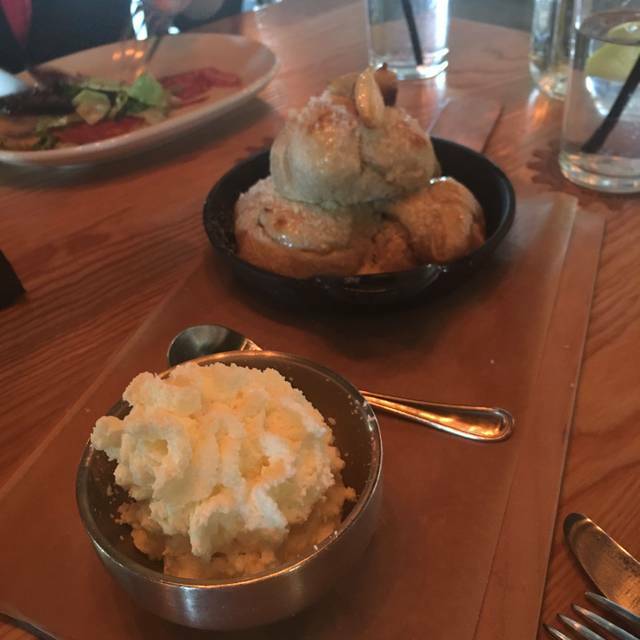 Great overall experience - food, service, ambiance. 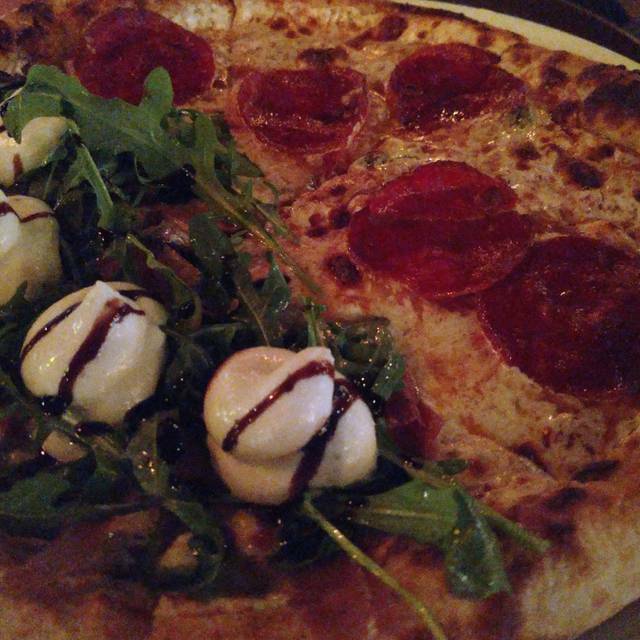 Pizza was crazy good - we had the pepperoni and the prosciutto. We landed there in time for brunch, not really even meaning too, but thank goodness! So we also ordered a blueberry pancake. Add that to your bucket list. There were all kinds of people in my group of 9 with all different definitions of what makes a restaurant great - service, craft beer?, cocktails, pizza - and everyone one of those definitions was satisfied. Best pizza in Plano if you like thin crust. Very fresh and flavorful. You can tell they put quality ingredients into their product. 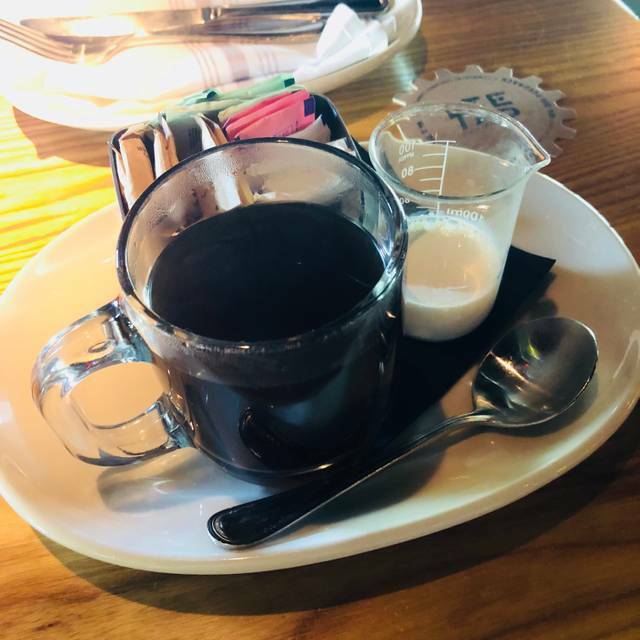 Great value for drinks (along with being delicious) and service has always been very friendly and hospitable with all servers we have had at the Plano location. Make reservations during peak periods or you maybe waiting a bit. Thumbs up! Had a great extended family birthday brunch at 10:30 on Sun morning! Great time to get there before the rush and food was perfection as always!! The waitstaff and bar staff are great phenomenal. Love going back every chance I get. Our table was waiting. It was on the heated patio which was ok. Service was excellent. The food was very good. The wine was overpriced and served very cold for red wine. After the wine warmed is was still not worth the price. The pizza was really good! The crust is light airy and very crispy. The food was incredibly delicious and the gluten free pizza crust didn't taste gluten free at all! Highly recommended! Had a little issue with our appetizer but was resolved quickly. Pizza was really good and live the cask wine concept. We have tried a lot of pizzas, but Pie Tap is the best!!! Their sourdough crust is amazing and their toppings, especially their house made fennel sausage is the best. 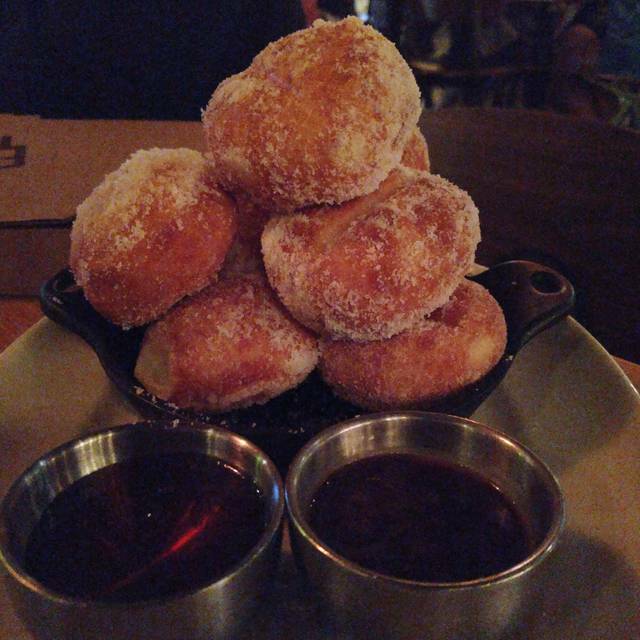 Everything on their menu is good and we can't wait to go back and try something new. Their brunch is very good too. Our server Brooke is great. We have asked for her every time we go the there. Solid pizza place with a great selection of tapped wine and beer. They have good specials, but their prices are a little bit up there on the regular. 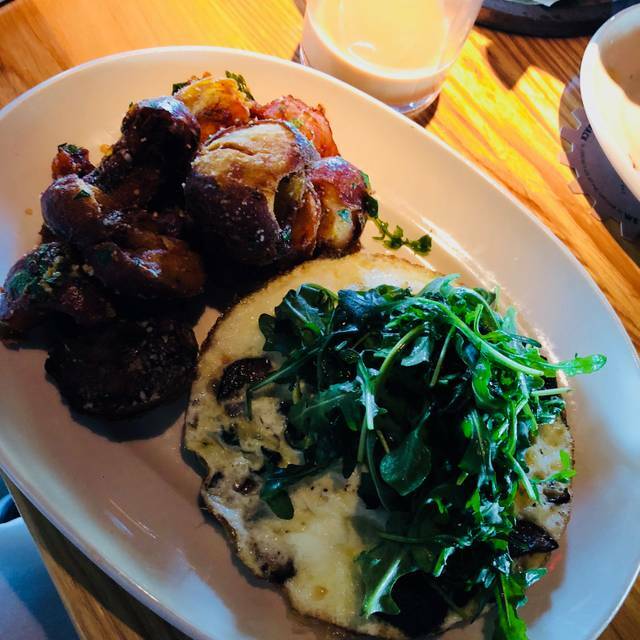 As long as you go in expecting your bill for 2 including splitting one pizza, an appetizer, and one or two drinks to be about $70 you will throughly enjoy your time! It took 45 minutes for someone to bring us water after being seated. The bread knots never came until the general manager got involved. Food took another hour and a half to arrive. We will NOT be back! No one wants to wait over 2 hours to eat after being seated. Hard fail!! This place is a bit pricey, small, and loud. $15 for a 12” pizza, $7.50 for a beer, and $3.50 for a root beer is a bit much. Service was also a bit slow, especially considering there were open tables in the restaurant. The only downside to this restaurant is the one person bathrooms. Having to wait in line to use the bathroom is frustrating, and this restaurant how old is too many people to just have one men and women’s private baths. 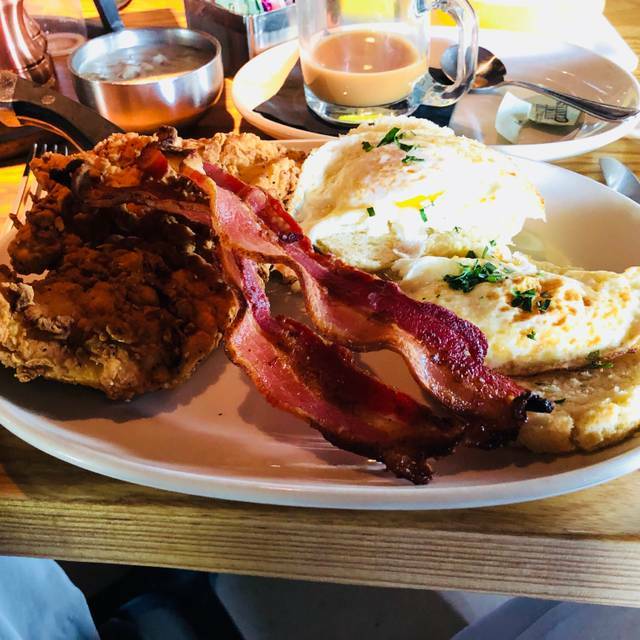 Great brunch and wonderful service! Hate that they stand there while you pay. They bring you some table side computer that charges your card and they stand there and wait while you sign and add tip. I tipped less because they were standing there. That made me a little upset. Service was awful. It took about 15 minutes from delivering one meal to the last one....one of my kids was last to be served...seriously, who does that. The food was good, but we won’t be returning. The server was kind of slow. We had this experience the last two times, but overall we love this place. The enclosed patio is VERY cold and breezy especially on a very cold night. When we asked to move inside and we were told we had had to be done by a specific time bc of other reservations (even though I too had a reservation). I felt rushed all night bc of the time deadline and bc the kitchen seemed to be running slowly. Our food came out in a weird sequence and the pizza crust tasted a bit undercooked to me. We ate it (it wasn’t inedible) but I’ve been here many times when the food was better. The service was very good which was a silver lining. I won’t go back on a cold night and will probably give this restaurant a rest for a while. Great service, great food, great venue! An excellent and unique pizza place! Don’t pass this one up. Great place! 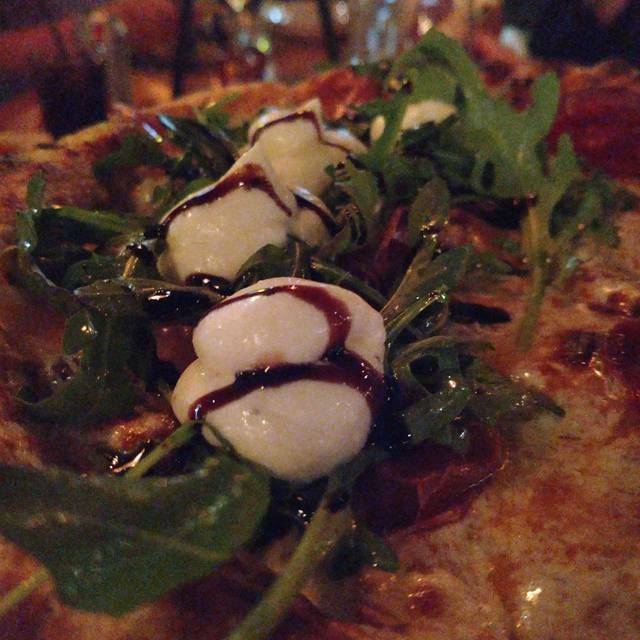 Awesome pizza, cool atmosphere, great bar.